After the first „Twilight“ film hit theaters on November 1, 2018, it sent fangirls into a frenzy. The movie became such a big hit among viewers that it led to an additional four films, based on novels written by Stephenie Meyer. Avid fans who analyzed the books, watched the flicks multiple times, and viewed cast interviews probably know a fair share of trivia about the franchise (like the fact that Taylor Lautner wore an itchy wig and Meyer made a cameo during a scene in the diner). 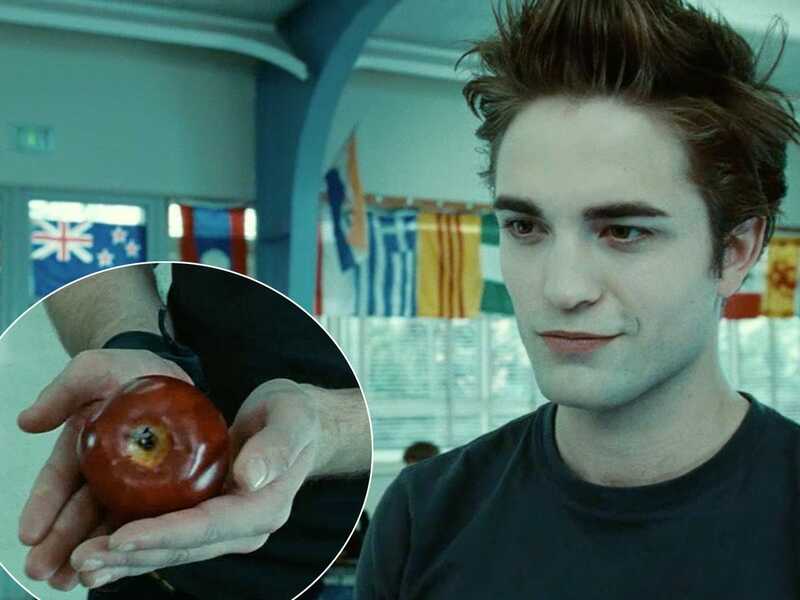 To celebrate „Twilight’s“ 10-year anniversary, INSIDER combed through „Twilight: Director’s Notebook,“ which director Catherine Hardwicke released in 2009, to find even more details about the making of the movie. Keep reading to learn facts about how the first movie was made, from the amount of attempts it took to master the apple shot to the chilly temperature the actors faced when filming the prom scene. One of Bella’s favorite desserts (berry cobbler) came straight from the dessert menu of a local eatery. Catherine Hardwicke sent the menu to screenwriter Melissa Rosenberg, who included the dish into the diner scene between Bella and her dad. Stewart’s hair was dyed and a hairpiece was added underneath her natural locks to make it look thicker. She also wore brown contacts to match the character description. Stewart has natural green eyes. When Pattinson first enters the cafeteria, his real life sister, Lizzie Pattinson, sings vocals on the song that plays. She’s three years older than her brother. Lizzie’s voice can be heard faintly in „Who Are They,“ which is part of Carter Burwell’s score for the film.